Subaru recalls Crosstreks, Imprezas, Foresters and WRXs with brake light switches that may fail. 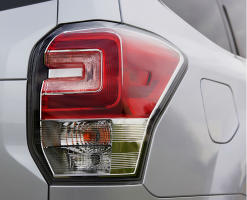 March 1, 2019 — A Subaru brake light switch recall will be issued for 1.3 million vehicles in the U.S. and 2.3 million worldwide, including popular models such as the Crosstrek, Impreza, Forester and WRX. The brake light switch recall is necessary because the switch can lose electrical conductivity from silicone found in certain consumer products that can remain on the switch. According to Subaru and depending on the model, a vehicle can suffer from all sorts of problems from a faulty switch. Drivers will see illuminated warning lights associated with any features that are experiencing problems. Subaru traced the problem to a report in March 2012 that involved warning lights that illuminated due to a failed brake light switch. The switch was analyzed and engineers determined the switch failed because it was coated with oxidized silicon. Subaru investigated the manufacturing process and found no silicone products used on any related parts. This left the cause as consumer products that contained silicone that accumulated as a layer of silicon dioxide on the contact surface. However, engineers believed it to be an isolated incident and that no recall was necessary. Between August 2012 and November 2015, the automaker received nine technical reports from the U.S. but decided to monitor the field due to the allegedly low number of complaints. A different brake light switch was introduced into production in February to provide more protection against silicone gas, but 10 more technical reports were received between March 2016 and December 2017. Subaru determined six of those incidents occurred to vehicles with the new brake light switches, so another change to the switch was ordered. The recall is expected to begin April 29, 2019. Concerned customers should call the automaker at 844-373-6614 and ask about recall number WUE-90. Read owner-reported complaints about the Subaru Crosstrek, Impreza, WRX and Forester.